Thomas Tuchel has become the likely successor of Arsene Wenger, after the Frenchman steps down this season. Yesterday, Patrick Vieira and Brendan Rodgers appeared to be the the two most favoured, as Wenger seem to endorse Vieira. 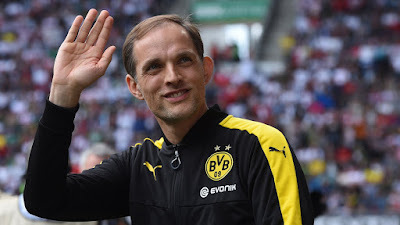 And today, Tuchel got a massive 84% of all bets placed on him to take over following the news the French boss will step down. He’s been cut from 33/1 into just 6/4 standout favourite for the job in the space of just three weeks. Benitez and Rodgers are are 12/1 and 10/1 respectively, with Patrick Vieira, Mikel Arteta and Thierry Henry all linked.